Not long ago when people used to shave using manual devices. They used manual razors, and blade holder to make a haircut. But, today, we have electric shavers that offers clean and safe shave. Deepening on where it’s intended for use, these shavers exhibit different styles and designs. Basically, electric shavers for men are for trimming beards and general hair grooming. They are safe than using razors since they prevent cuts and other discomforts. Although they are safe, they a can also be frustrating especially if you get an inferior quality brand. Buying from a reputable brand and conducting thorough research ensures you get premium shaver. To keep your face looking appealing, you need one of these top best electric shavers reviewed below. For a man to look charming, he needs to have his hair trimmed perfectly. With a good shaver, it gives you peace of mind since no discomforts. 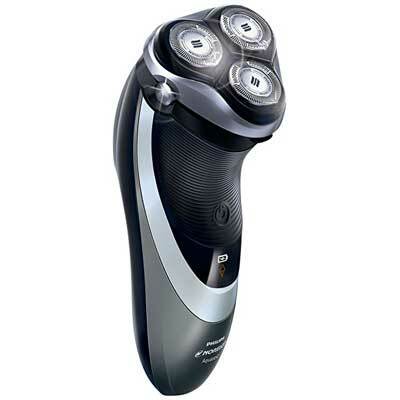 Philips AT830/46Norelco is an excellent choice when you want to protect your skin from cuts and razor burns. 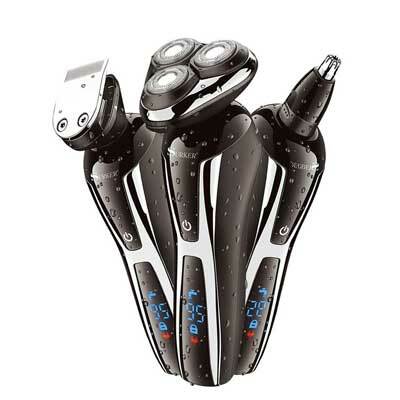 Boasting dual precision heads, it delivers a clean shave without any skin. The slots and holes in the shaving heads enable trimming long and short hair easily. If you experience bumps and burns when shaving with a dry shaver, this shaver offers you solace. It boasts aquatic technology that enables the use of shaving gel or foam. The pop-up sideburns and mustache trimmer is great when you want to shape your beards. The rechargeable battery holds up to 50 minutes, and the machine is fully washable. Regardless of how your beards are hard, this super sharp foil shaver by Braun will trim them excellently. Designed to deliver high precision shaving, it leaves your skin intact. With 3 specialized shaving elements, they shave smoothly while the foil keeps your skin safe and free from nicks, and cuts. Furthermore, the micro comb technology is fantastic to detangle hair before shaving to prevent pulling. Notably, the high precision head is excellent when you are shaving your hair. The intelligent design lets you cut even in the most delicate places like under the nose without injuries. With the ability to deliver wet and dry shave, everyone can use it for their grooming. It is also waterproof and can tolerate 5 meters submerging hence cleaning is a breeze. Above all, the shaver utilizes NiMH battery with 1 hours charge time while delivering 45 solid minutes run time. Don’t be fooled by some of the cheap electric razors that work for only one month. Panasonic Arc4 for men is one of the premium shavers you can imagine. Its high-quality design lets it shave without discomfort and straining your hand. In fact, the body is ergonomic while shaving head is pivoting. With a combination of dry and wet having this razor gives you the shaving you will always aspire. The high-performance linear motor is exceptional. 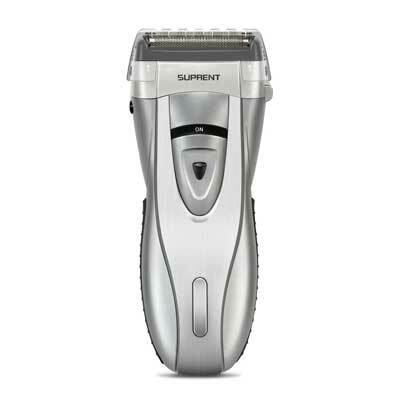 It provides 13,000 cuts per minutes for faster and clean shaving. Additionally, the super thin stainless steel foil keeps your skin safe. The LCD screen shows razor status while rechargeable battery offers 42 minutes. Let your skin experience great shaving without even a single nick or cut. 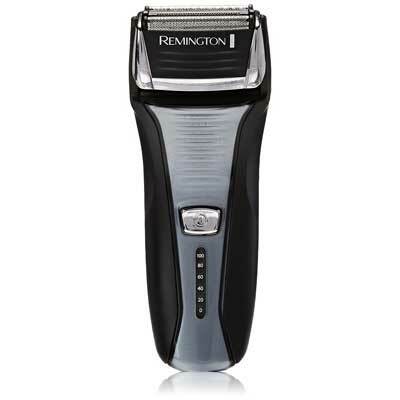 To get this kind of shaving, the Remington F5-5800 Men razor is an ideal choice. With a pivoting head, it provides excellent shave as head allows great tilting. Moreover, the pop-up trimmer is useful when shaving sidebars and making fine touché in your mustache. The construction of this shaver uses highest materials you can thin. The body is premium plastic while head features surgical steel blades. They allow easy cleaning without corrosion or rusts, hence extending shaver lifespan. The cordless design and strong battery with 60 minutes make this razor highly portable. Whether you are at home vacation or traveling trimming your hair is now easy. All you need is look for this electric shaver by Hatteker. The shaving machine is superbly slim and ergonomic for comfort and perfect grip. Unlike other razors, it boasts 2-in-1 functions. Thus, the device can shave sideburns and beard with 3D precision. As results, the shaving head correctly adapts to the skin contour leaving skin safe and healthy. The casing is completely waterproof which is ideal when you are cleaning your machine. Moreover, the wet/dry technology lets you shave anytime and anywhere. The upgraded LCD screen allows you to monitor battery capacity for efficient recharging. Amazingly, this shaver uses USB charger for charging. Powerful Li-Ion battery delivers solid 45 minutes of continuous use. Caring for your skin always require premium products. 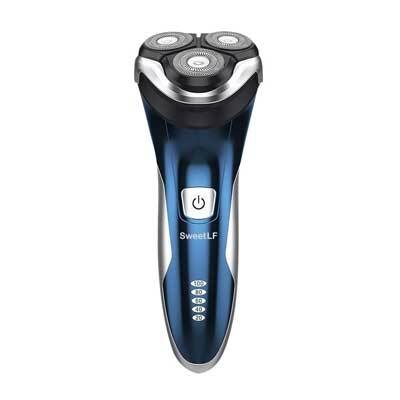 That is why this waterproof men’s electric shaver by SweetLF is here. The razor is one of the top performing and delivers gorgeous hair trimming. Featuring a cordless design, the shaver has a reliable battery. 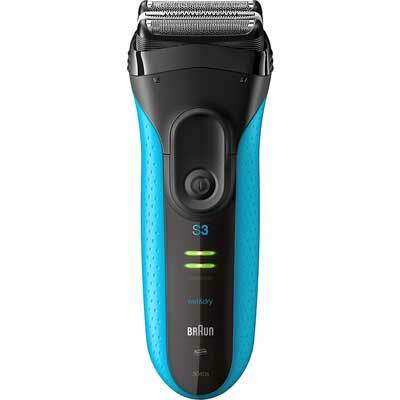 With a quick charge feature, it offers 120 minutes shaving duration. Despite its fast shaving ability, the motor is quiet and gives you peace of mind. The razor boasts 4 floating razor which gives efficient and smooth trimming. Enhanced with 3D rotary head, it provides great skin contour for smooth skin without bumps and injuries. The pop-up trimmer allows simple sideburns and beard shaping to your desired design. 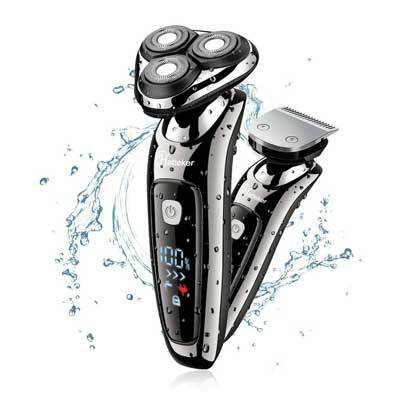 With this shaver, it boasts waterproof body with IPX7 rating. It cleans easily while boasting wet/dry shaving ability. Shaving beards and skin hair is sometimes unbearable, especially when using blunt shavers. The Suprent men’s shaver is efficient and delivers cool shaving. With 3 floating blades and 2 cellular foils, the razor delivers unmatched cut. It doesn’t cause skin nicking or razor burns, hence leaving your skin smooth. Amazingly, the 404 stainless steel blades are super sharp and resistant to rusting and corrosion. When traveling, the machine offers great safety. Unlike other devices without locking feature, this has a safety lock to prevent accidental switch on. This not only ensures safety but also helps to conserve your battery. The push –up precision trimmer enables you to style your mustache and sideburn. The Surker 3-in-1 shaver offers professional shaving. 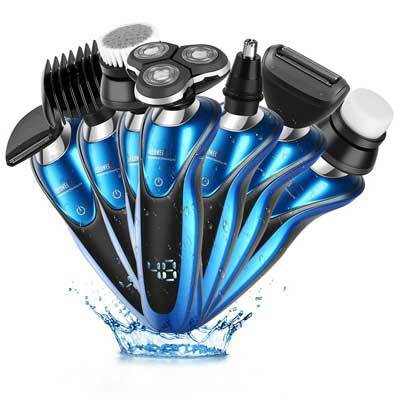 This set comes boasting 3 devices for hair clipping, nose and ear trimmer and shaver. Therefore, if you have a disturbing nose or ear hair, you can eliminate them without struggles. With extra sharp blades, the device delivers high precision to ensure you enjoy clean and safe shave. With these shavers, they deliver outstanding shaving convenience. The device has inbuilt Li-Ion battery that is fast charging. Taking only1.5 hours to charge, the battery provides 60 minutes of continuous shaving. Additionally, LCD screen offers easy battery charge monitoring charge. Whether you like dry or wet shaving the device is outstanding. Rated IPX5, cleaning this device is easy to wash on running water. Ceenwes 7-in-1 electric shaver is a top versatile shaver that keeps you perfectly groomed. Unlike other shavers that only have one trimmer, this one has different styles. The shaver is efficient for ear, nose, facial hair, and others. This is possible since it comes with different heads that allow easy switching depending on where you want to trim. Enhanced with a precision trimmer, it helps in perfecting your hair trimming. When trimming, the shaver provides excellent contouring to your skin. It has 4 floating head featuring 3D precision to keep your shave excellent. With a slim and waterproof body, it is easy to carry as well as washing it after use. To keep you aware of the battery capacity, it comes with LCD screen to show the available charge. 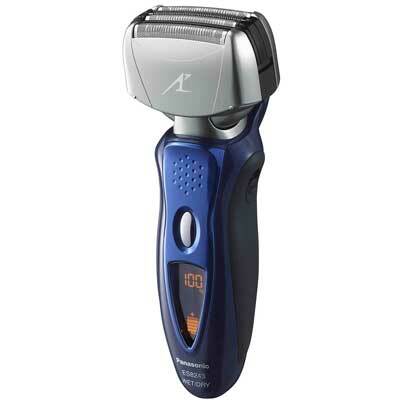 With battery providing 60 minutes of continuous shaving, its great option when going out. It feels wonderful when shaving with right device. However, not any shavers that can guarantee a good shave. 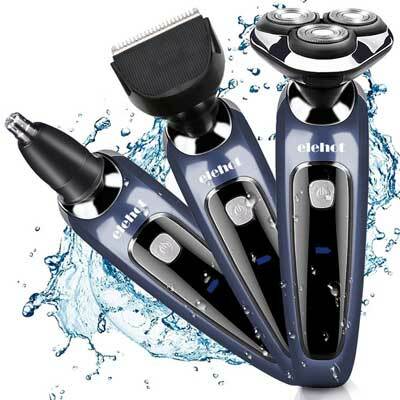 Elehot 3-in-1 wet and dry shaver is a perfect choice for any man. Boasting 5 attachments, you can do more than shaving beards. The rotary heads are ideal for nose, ear and hair clipping. Thus you can use the machine for variety shavings without buying different razors. Amazingly, the performance of the shaving heads is outstanding. It features 4 direction flexing heads that create a clean shaving. The self-sharpening blades are unique since they allow long time use without getting blunt. Also, the non-corrosive blade ensures easy cleaning with water. With a single charge, this shaver offers up to 20 days of shaving. Buying a shaver though seems simple; it needs one to be careful. Especially, with different shavers having varying features, one requires better understanding. Below are some of the vital elements to check. Ergonomics refers to how is easy to handle and use advice. Now, for a shaving machine, it needs to superbly ergonomic and comfortable to hold. It should provide excellent holding experience to ensure you have better control when shaving. Slim bodies devices are ideal since you can maneuver easily. Also, the razor should be able to reach different body areas. This can be tricky when you are choosing your shaver. In most cases, people only know about the dry shaving devices. However, these days, some models are ideal and safe to use on wet hair. Amazingly, the wet models are perfect and safe for people worth sensitive skins. Also, some models have dry and wet operation making them a superb choice. Shavers are available in rotary and foil shaving heads. Each of these shaving heads has the most suitable use. For rotary, they have rotating discs that are in floating heads. They are easily adjusted to configure to body contours hence ideal for long hair trimming. Foils shaving heads have a metal foil that prevents razor and skin contact. Their gliding action enables perfect shave and suitable for daily use. Therefore, depending on the frequency of your shaving, you can choose between rotary and foil shavers. Coded shavers are wall plugged. This means you must be near wall sockets for you to use them. This limits when and where you can use them for grooming. But, recently, we have cordless shavers that use rechargeable or disposable batteries. Also, others have inbuilt batteries that need recharging. Buying a rechargeable shaver, you should look one with most powerful and durable battery. To enjoy safe and comfortable shaving, a premium shaver is paramount. With different razors with varying features, it’s now possible to get outstanding trimming. With these shavers, you can now get a gentleman shave.